Finding a kennel or breeder that you are comfortable with takes time and research. It is strongly recommended that you don't just buy the first Saint puppy that you see or are offered. All kennels and breeders offer varying levels of support and/or guarantees. Take the time to research the breed and visit kennels to see what is being offered and if their dogs are well kept and of suitable temperament. There are many other considerations when choosing a kennel or breeder. · is a Member of the Australian National Kennel Council state member body e.g. Dogs NSW and their state affiliated breed club i.e.in NSW that is The Saint Bernard Club of NSW Inc. Members of such bodies and club's are deemed to have agreed to abide by the rules and regulations and thereby to uphold the codes of practice and ethics entailed therein and also are committed to the interests of their breed first and foremost. · provides a safe clean environment for their dogs, gives individual attention in raising and socializing each puppy in clean and healthy surroundings where it can learn to live happily with people and with other dogs. · is happy to show you their dogs and takes the time to discuss the breed and issues with you. · has clean, healthy, happy and sound dogs. · offers after sales support and is happy to assist you with directions for the feeding, training and grooming of your puppy. · is prepared to help with any problems that may arise and gives advice as required. · offers a genuine guarantee. · microchips, regularly worms and vaccinates. · ensures that all their animals receive the proper inoculation at the appointed intervals in consultation with their veterinarian. · gives evidence of their concern with the humane treatment of dogs by shipping only to individual parties, by shipping puppies in safe, comfortable enclosures with adequate ventilation, and never ship puppies under eight weeks of age. · registers all litters in their entirety with the ANKC and provides registration papers to the purchaser. · may offer introductory Membership of The Saint Bernard Club of NSW Inc as part of your purchase. · will always openly discuss pricing and any financial arrangements. · NEVER mass produces puppies to be sold as a commodity. · NEVER deals in gimmicks or unreasonable guarantees. 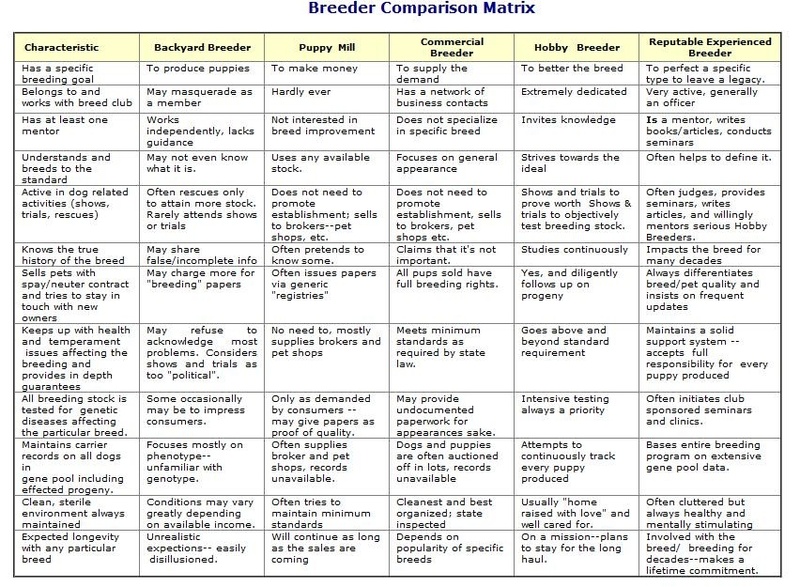 · NEVER uses high pressure sales practices to sell you on a breed or a particular puppy and will encourage you to study the breed, visit other breeders, and investigate other breeds before you make a final decision. · NEVER sells over the internet without offering reasonable guarantees and always ensures that they are selling to a reputable individual. · Why do you breed Saint Bernards? · How many litters do you breed a year and why? · When is your next litter due/planned? · What medical conditions are hereditary in this breed? · If a hereditary defect appears in the puppy will there be a refund or a replacement? · What are the temperaments and personalities of the sire and dam like and if it is possible to see them? · Are your puppies house or kennel reared? · Do you show your own puppies and dogs? · Do you belong to Dogs NSW/ resident state ANKC member body? · Do you belong to affiliated state and/or national breed clubs? · What dog related activities do you participate in? · What health clearances/procedures are performed by a veterinarian on your puppies prior to sale? · Will the breeder take the dog back/help find another home if the unforeseeable happens? · Do you guarantee your dogs/puppies, and if so, how long is the guarantee and what does it cover? · Do you use a sales contract? If so, what are the conditions? (e.g. spay/neuter for pet quality, breeders terms, total ownership, co-ownership, minimum official obedience training etc). Reliable and reputable breeders will want to know all about you so expect a lot of questions from them too! The Club has a Puppy Register where people looking for puppies can leave their details by filling out the Enquiry Form (Please see the So You Want A Saint Bernard Puppy? page).